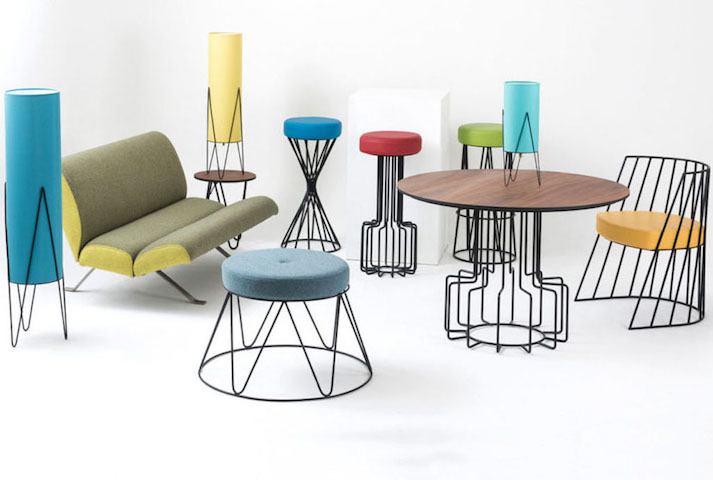 A range of beautiful bespoke barstools, furniture and lighting by Modern Wire Ltd Bristol. 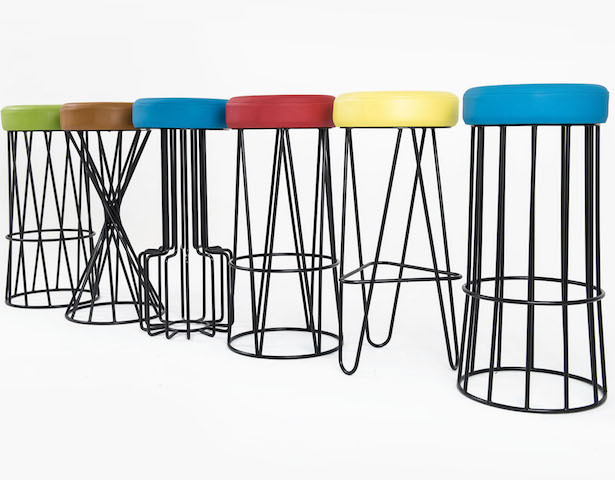 Unique, sturdy and comfortable, suitable for any kitchen island, bar counter top or raised table. 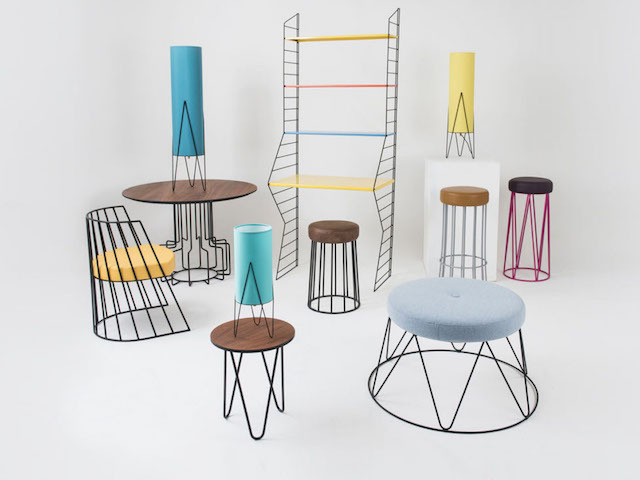 Solid steel rod base, powder coated in durable finish and upholstered with a soft padded bar top. 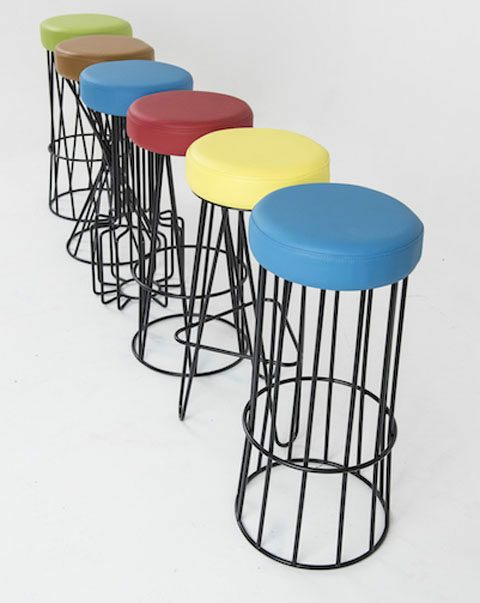 Top and frame are available in a variety of colours and fitted with plastic sleeves to prevent scratching of the floor.